By default turned off earphone mode in OnePlus 6T Pie. Here’s how to turn on earphone mode in OnePlus 6T Oxygen OS. When turn on auto play earphone mode, it will automatically resume music playback when connecting earphones and stop when disconnecting. You can find earphone mode under sound settings. In OnePlus 6T earphone mode settings, you can see smart answer for Bluetooth, speak caller ID, notification ringtone in earphones, Google TTS voice data and Bluetooth absolute volume. 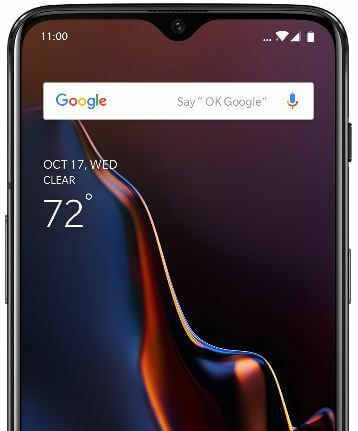 Follow below given step by step process to turn on earphone mode in OnePlus 6T Oxygen OS. You can quickly activate earphone mode to swipe down notification shade from top of the screen and tap earphone mode in quick settings panel. Also enable and use earphone mode in OnePlus 6T using below given phone settings. In OnePlus 6T sound settings, you can see Do not disturb, Earphone mode, Audio tuner, phone ringtone, touch sound, default notification sound and oher sound settings. By default turn off earphone mode in your OnePlus 6T Pie 9.0 devices. Now automatically start songs playlist when connecting earphones. You can see below given OnePlus 6T earphone mode settings in your device. Automatically play or pause music when connecting earphones. During an incoming call, connect the Bluetooth audio device to answer. Speak the incoming caller ID vie earphones. Set ring mode in your OnePlus 6T Oxygen OS. You can change OnePlus 6T earphone mode settings you want in your devices. And that’s all. Do you still have question about turn on earphone mode in OnePlus 6T Oxygen OS? If you have any kind of trouble, tell us in below comment box.